Today's agricultural producers rely heavily on wireless technology to enhance the operation. At a gathering at Clear Meadow Farm in Maryland on Oct. 9, John Deere managers came together to voice their advocacy for broadband in the agricultural industry. Access to broadband at some farms is allowing workers to wirelessly connect data from machine-to-machine, as well as laptop or tablet. In turn, the broadband connection is saving time, money and natural resources, according to John Deere Managers. When a worker has a broadband connection, he or she can make a call directly from the data monitor and grant access to the farm owner or equipment dealer. 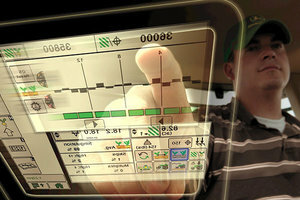 Then, the professional can remotely view the combine data system and suggest solutions to current problems. Pai went onto say that broadband is a great equalizer. He stated that if enough cellular towers were built in a rural area to provide consistent broadband access, rural communities would have the same access to healthcare services in urban areas. On Aug. 15, Agriculture Secretary Tom Vilsack awarded almost $40 million in loans for new or improved broadband service in rural parts of Minnesota, North Dakota and Texas, designed to strengthen these communities. The loans were funded through the U.S. Department of Agriculture Rural Utilities Service’s Telecommunications Infrastructure Loan Program. The Community Telephone Company in Texas will use $26.4 million to replace its outdated copper system with a fiber-to-the-premises network, while the Red River Rural Telephone Association in North Dakota will use $8.5 million to construct 145 miles of buried fiber optic cable. The Griggs County Telephone Company in North Dakota will use $4.7 million to create fiber-to-the-premises in Binford and Cooperstown. "Broadband is essential to the economic strength of rural communities," Vilsack said. "It improves access to education and quality health care, and it leads to new jobs and business opportunities. Broadband is part of everyday life in most of America and vital for economic success in the 21st Century. Rural America cannot be left out."